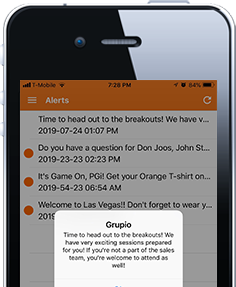 Make real time text announcements to your team and fans using notifications that pop up on the screen. No more driving to a game that is cancelled. They'll know it as soon as they get out of bed and there is no need to call each of them for this. Announce the names of prize winners and other important game information within minutes. Communicate with your team securely. Us the in app messaging feature to send messages to players who are authorized to use the app. No need to whisper the game strategy anymore. 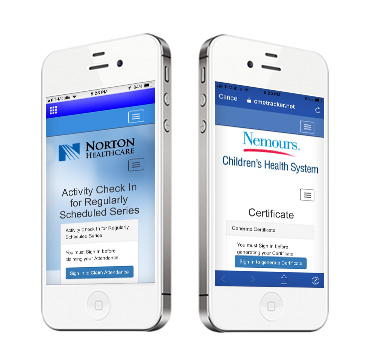 Set schedules that users can view and add to their device calendars. The event reminders will pop up on their device before the event and ensure that you have a large audience at all times. Use the power of social media from inside the app. 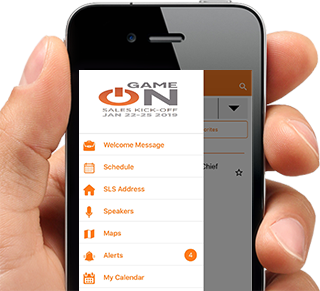 Attendees can post to Twitter, Facebook, and Linked-In about the games and players. They can also read Tweets, Facebook wall, and Linked-In profiles from inside the app. Expose a Twitter hashtag such as #yourteam to let them tweet about it. Gain the attention other prospective players and fans from the social media world. Get famous!. Host sponsor banner ads that rotate and gain financial support from sponsors for showing their ads. 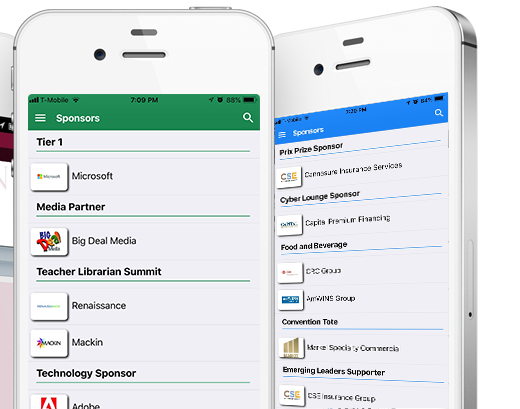 Show sponsors in the sponsor listing section order by categories that you create. Custom order the sponsor categories as per your needs.